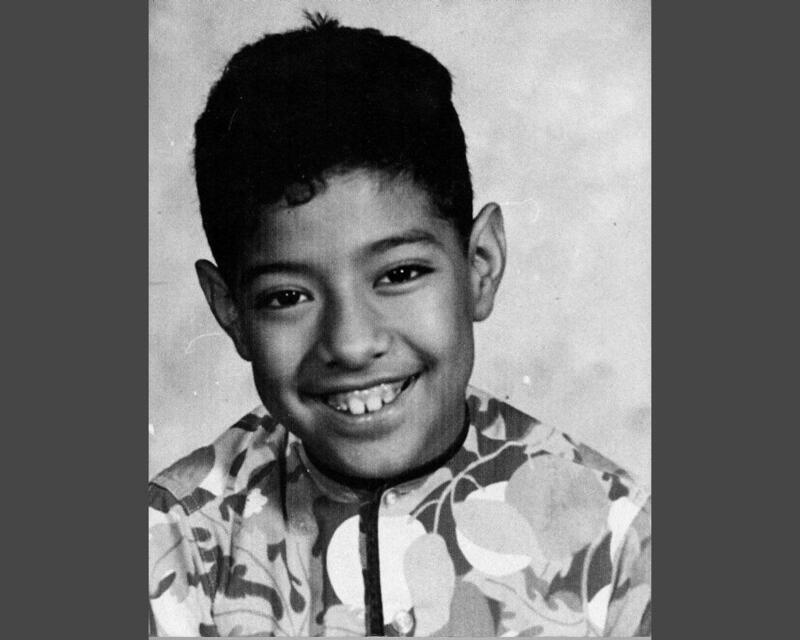 Santos Rodriguez was killed by a Dallas police officer in Dallas on July 24, 1973. 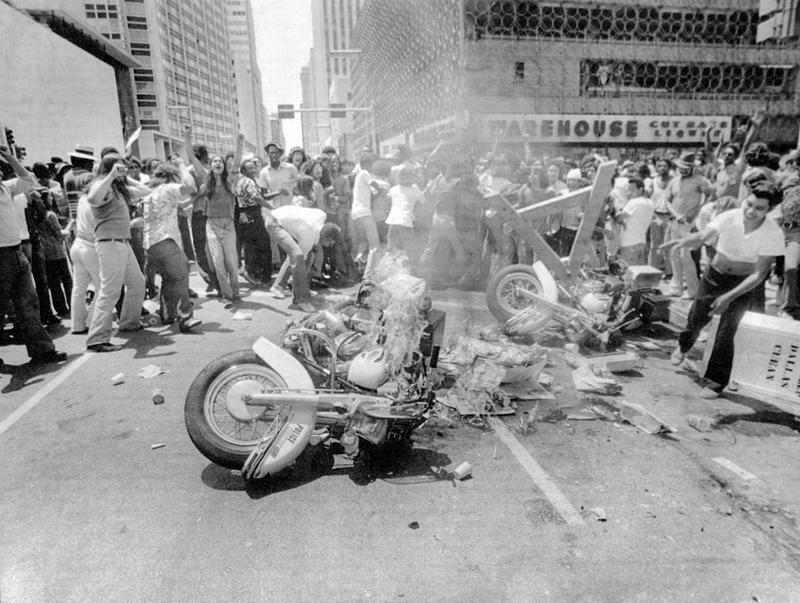 A July 28, 1973, march after the death of Santos Rodriguez erupted in violence in downtown Dallas. Five police officers were hospitalized and nearly 40 people were arrested. Filmmaker Byron Hunter's documentary about Santos Rodriguez's murder, "Santos Vive," premieres Tuesday, July 24, 2018 at Texas Theatre. 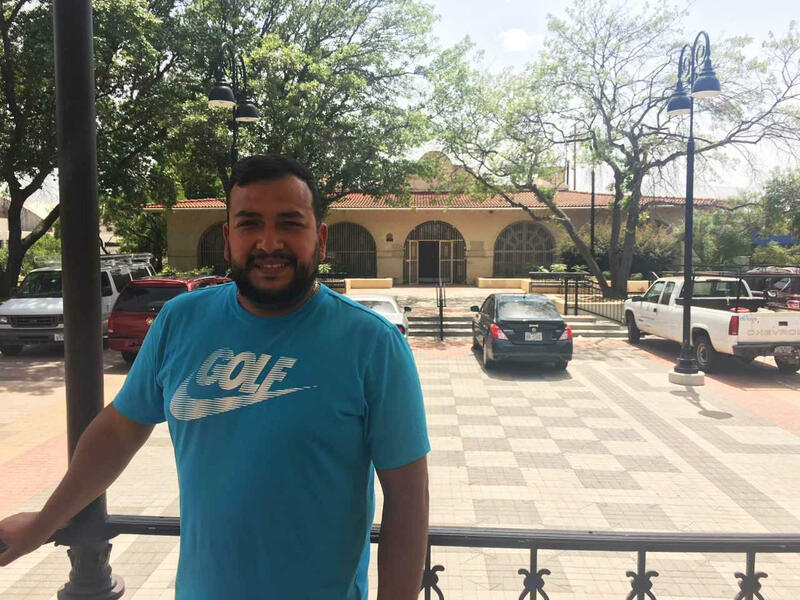 Dallas Parks board member Jesse Moreno stands in the gazebo in the plaza of Pike Park, once the centerpiece of Dallas' Little Mexico. 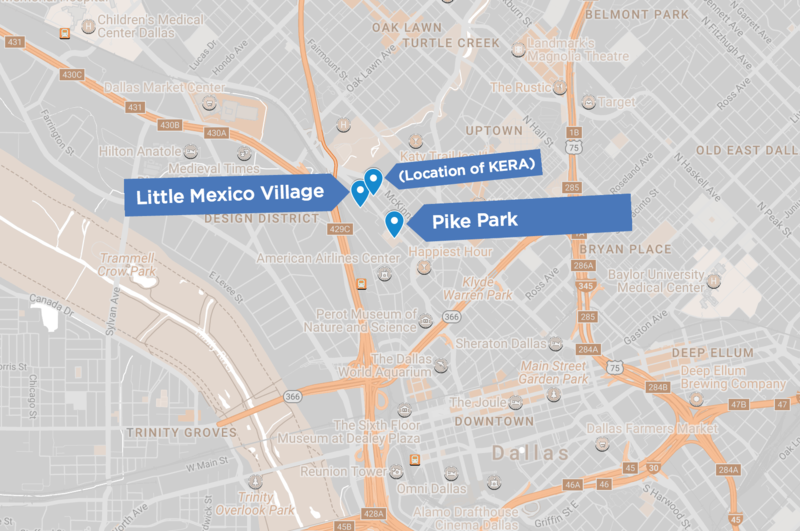 Pike Park is in the heart of Dallas' historic Little Mexico neighborhood and is just northwest of downtown Dallas on Harry Hines Boulevard. Here it's shown in relation to today's Little Mexico Village apartments and KERA. Today, if you drive or walk by Pike Park — once the heart of Dallas' Little Mexico — you wouldn’t know it was also near the site of that tragedy. Dallas Parks board member Jesse Moreno wasn’t born yet when Santos was shot. But growing up, the 33-year-old heard the story many times. Now, a public art project and new documentary are remembering Santos and the impact of his death. It was 2 a.m. on July 24, 1973, when Santos and his 13-year-old brother, David, were picked up at their home by two Dallas cops. Police suspected them of robbing a vending machine at a nearby gas station. Police handcuffed the boys and put them in their squad car. The boys denied being involved. Officer Darrell L. Cain decided to play Russian Roulette, aiming the gun at the back of Santos’ head. He pulled the trigger and nothing. The second time, a bullet struck Santos’ head. Moreno is now spearheading an effort to create a public art project in Pike Park in Santos’ honor. Moreno’s looking for community input to determine what form the project will take. He says he wants to unite people with whatever it is — a mural, a sculpture or something else. 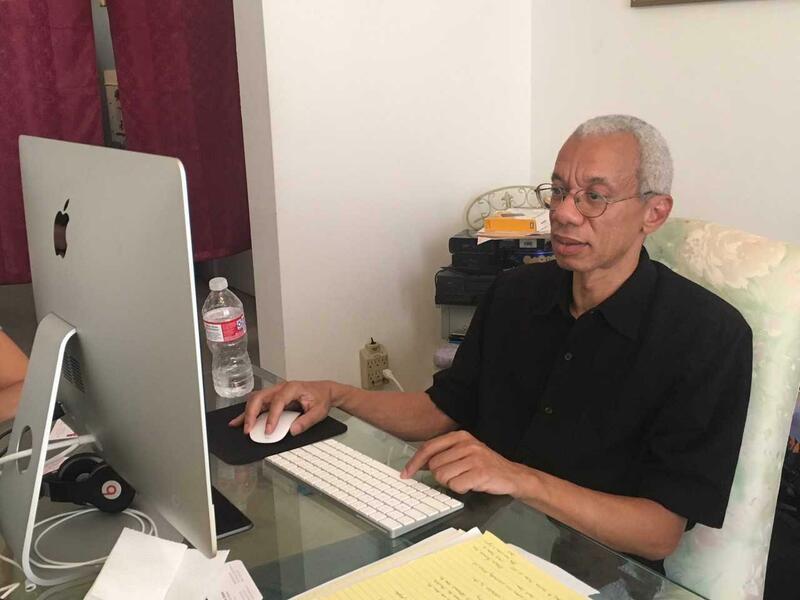 The filmmaker, Byron Hunter, was a child living in Dallas when Santos was killed. His dad was a civil rights activist. “He — realizing that he had a son that was 9 years old, just a little bit younger than Santos — felt it important to come and tell me what had happened and help me understand the challenges of being a young person of color in Dallas," Hunter said. His father also helped him understand that while "it shouldn’t be that way and we shouldn’t have to do certain things, we have to be aware of certain things." Hunter hopes the documentary accomplishes many things, including telling the story of Santos' mother, Bessie Rodriguez, after her son’s death. What Hunter didn’t want the film to be about was police brutality. Instead, he wants his film to offer healing and hope -- and raise money to help Santos’ mother and brother. “I want people to learn about Little Mexico. I want the people to learn about the success of the Mexican community," Hunter said. "I want people to learn a lot of things, but I want people to also realize that, like, this woman is still alive and she’s still struggling." "We have to be real." Moreno thinks the Pike Park art project would also help bring closure to the family, especially Santos’ mom. Moreno says $75,000 has already been set aside for the project from his park district's funds. Whatever the public art project ends up being, he says, it has to be honest. “I’ve had people who were trying to tone this down and say ‘Santos died.’ Santos didn’t die. He was murdered," Moreno said. "We have to be real. We have to be transparent and we have to accept what happened in order to move forward." Ultimately, Moreno and Byron say they hope their projects will do just that: help people move forward. Forty years ago, a 12-year-old boy named Santos Rodriguez was killed by a police officer in Dallas. The event sparked the closest thing to a race riot in the city’s history. 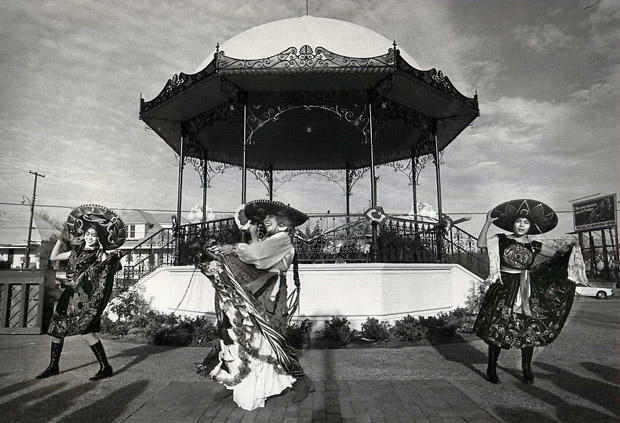 The park that was once a centerpiece of Dallas' Little Mexico turns 100 this year. Although it hardly resembles the cultural gathering place it once was, Pike Park hasn’t been forgotten.